Hopefully this is the first of many releases from Scottish bands old and new but that will depend on what support the initial releases receive. There are already some other very exciting releases planned covering all decades from the sixties to the present day many on vinyl but there will also be CDs and all being well even DVDs and books. This double album is on 180g vinyl and comes in a gatefold sleeve with artwork by Ally Palmer. Limited to 500 and numbered, initial orders will be signed by Norman, Ally and Neil. Orders will be sent out in numerical order so the earlier the order the lower the number ! Release day price will be £28 but it is currently £25 for early birds. A big problem these days is that people ‘like’ things but don’t actually buy them and though the Rip It Up museum exhibition and opening of the Scottish Pop Music Exhibition Centre will help greatly with the profile of Scottish music these releases will need broad support to make them viable. 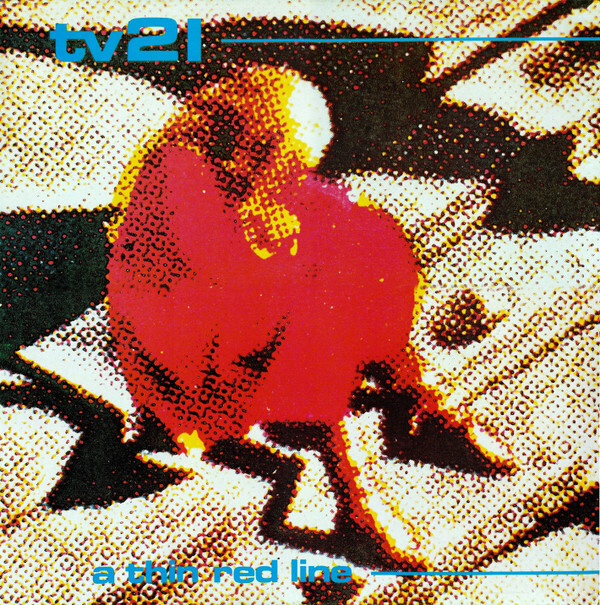 This TV21 album contains all the tracks from the “Snakes and Ladders” compilation album divided over two LPs with LP1 being the original album “A Thin Red Line” and LP2 containing all the extra tracks from the compilation. The release date is expected to be late March but please consider an early purchase so we can pay deposits and plan ahead and in return copies are at a lower price and signed.